Could Pastoral Ministry Be Out-Sourced? I tend to read a news magazine through the filter of how it might apply to the Kingdom of God. The November 2010 issue of the U.S. News and World Report contained an editorial by Mortimer B. Zuckerman that made me think. Zuckerman is editor in chief and his editorial was entitled “An American Crisis of Confidence.” His two main points were: Americans are feeling depressed because other nations are catching up to us in science and technology and many low to medium skilled jobs have been shipped overseas and are not coming back. Zuckerman concluded that “We have to recognize that employment growth for middle-skilled workers has steadily declined because of automation, even as the productivity of higher-skilled workers has boomed.” Zuckerman went on to suggest that these “workers be trained for jobs in more active areas” instead of trying to place them in positions similar to what they previously held. Sounds like sage advice to me. It occurs to me that his conclusions might have several applications to the field of church ministry. In the past, ministers with less refined pastoral skills could always find churches willing to call them in the hopes that they would grow in their skills. Many of those pastors did grow in their skills, but some did not. Those that did not grow in their skills tended to bounce around from one small church to another. Since many small churches could not afford pastors with more refined skills, there were always employment opportunities for less skilled ministers. But modern technology has allowed church members to observe highly skilled pastors on the radio, television, the internet and through satellite campuses. Technology has increased the ability of highly skilled pastors to write, blog, publish, record and re-broadcast their messages and ideas in order to reach a broader audience. This has raised the expectations that church members have toward their potential pastors’ ministry skills. Pastors with less refined skills are starting to feel the pressure. Unemployment among pastors, once a rare occurrence, is becoming a significant issue. While some churches are probably being too picky and should do more praying and less preacher idolizing, other churches have valid concerns about the quality of some pastors’ skills. I have watched with great sadness as men with lesser skills refused all the help that was offered to them. They thought they knew it all already. They tend to drive churches into a swamp of confusion and frustration, and then resign in a moment of anger, leaving a mess for someone else to clean up. Such pastors are finding their pool of potential churches shrinking. What should pastors with less refined skills do? Instead of becoming angry at pastors with higher skill levels, pastors with less refined skills should do the same thing as any other worker who finds his job qualifications lacking, seek additional training so his skills are more usable. That may mean going back to school, though that is not feasible for all pastors. It might mean attending some conferences or seminars. It might mean reading a half dozen books or watching some training videos. It might mean finding mentors to guide them to the next level. But most of all, it means humbling ourselves before God and admitting that we do not yet know it all. As we pray, we begin to sense the still small voice of God speak to us. As we learn to listen to that voice, the Spirit helps us see our own weaknesses and begin to address them. God can use humble men with lesser skills if they are willing to be Spirit filled. As we address our weaknesses and allow the Holy Spirit to empower us, we grow in our own maturity, wisdom and ministry skills. This makes us not only more marketable to potential churches, but more usable in the Kingdom of God. Bivocational pastors are ministers who work a second job in addition to the church. This is normally due to the church being too small or too poor to be able to provide an adequate salary to the pastor. Sometimes pastors choose to be bivocational as a way to stay connected to the community. When pastors are bivocational, they have the added stress of a second job which puts pressure on the pastors’ families and personal lives. While all pastors are prone to burn out, bivocational pastors typically face that threat with fewer resources from their local church and denomination and sometimes with less formal education about how to avoid burn out. • Many bivocational pastors feel that they are “second class” pastors. • Though there are many reasons for this, common ones include: they lack education, they serve a small church, or they cannot take part in denominational meetings because their second job conflicts with those meetings. • They should not feel like second class pastors because bivocational ministry is actually NORMAL for the church – Acts 18:1-4, 1 Thess. 2:9, 2 Thess. 3:7-9. • They should not feel like second class pastors because bivocational ministry is becoming MORE COMMON in America. • Many younger pastors, especially church planters, are embracing bivocational ministry for missional reasons instead of economic ones. While there is no way to guarantee that bivocational pastors will not burn out, two key factors that will help avoid that fate is delegation and taking care of one’s personal well being. Delegation is a challenge for many bivocational pastors. • Pastors should learn to delegate because shared leadership is NORMAL in the church – Acts 13:1-3, 2 Timothy 2:1-2. • God NEVER intended for pastors to do the entire ministry on their own! • It is very unhealthy for both pastors and churches when pastors do it all. • Pastors need to realize that there are multiple callings to ministry in a healthy church. 1 Timothy 5:17. There are people who are called to do ministry who may not be called to be pastors. Pastors should help those people discover what those callings are and then train them to fulfill those callings. • Some pastors do not delegate because they think the lay people are not willing to do ministry or that the lay people are not trained adequately to do ministry. • Pastors need to understand that lay people will help if asked. What are some duties that bivocational pastors can delegate to others? • There are many small tasks that may be delegated to others, such as issues regarding the church building, office work, printing bulletins, etc. • While delegating small tasks will help relieve some of the pressure from bivocational pastors, if they really want to avoid burn out, they must also be willing to delegate some high level ministry duties to others. • Since preaching and pastoral care are two of the most time consuming aspects of ministry, we must help bivocational pastors learn to share these two aspects of ministry with others through creating a team approach to ministry. Why will some bivocational pastors resist sharing preaching and pastoral care duties with lay people? • They think they can do all the preaching and visitation on their own. • They think no one else can do it as well as they can. • We need to help bivocational pastors understand how great the danger of burn out is if they do not share preaching and pastoral care with others. • We need to help bivocational pastors realize that lay people can and will help with these ministries if trained adequately. • We need to help bivocational pastors realize that formal education is helpful in these two ministries, but not necessary. How should pastors go about building a ministry leadership team? • While announcements from the pulpit or in the church bulletin may stir up some interest, what pastors must do to really get this going is personally recruit 2-3 men whom they think can do this if they were trained properly. Personal recruitment is the key. • Classroom training alone will not be sufficient. After 2-3 weeks of learning in a classroom environment, pastors must take the students on some pastoral care visits. • At first the students will simply observe how the pastors lead the visits, but then pastors must assign the students some portion of the visit to lead and eventually must let the students lead the entire visit with pastors being only silent observers. • Likewise, the students will need to preach some sample sermons to the other students. • Students will then need to preach a sermon to the home church. • Students will then need to preach a sermon at a nearby church. • After each preaching experience, students will need feedback on how to improve their sermon. There is a very helpful sermon assessment tool in the book, Developing Leadership Teams in the Bivocational Church. • When the six to eight weeks of training is completed, the church should recognize the students in some way. They can be given a certificate of completion or recognized in whatever way the church deems appropriate. • The pastor should then look for ways to use these graduates in a REGULAR way for preaching and pastoral care. Examples might include having one of the graduates preach every fifth Sunday and make all the visits on the pastor's day off or during the pastor's vacation. What resources are available for this training? • Seminary Extension courses offered through the SBC. • The skills and experience of retired pastors. • Developing Leadership Teams in the Bivocational Church, a training course just for bivocational pastors, published in August 2010 by CrossBooks, a division of Lifeway. • Regardless of whatever training system is used, the key is to make sure the students learn practical skills that they can actually use, otherwise they will grow discouraged and not continue the training. • Note: This particular program does not cover how to make an evangelistic visit simply because numerous other resources already exist which cover that topic quite well. • We must help bivocational pastors avoid burn out so they can continue their important ministries to small churches. • Bivocational pastors can avoid burn out best by creating leadership teams to assist them in the ministry. • While any assistance from the leadership team is helpful, to gain maximum advantage, pastors need people to help them with some of the pastoral care and preaching duties. • There are many resources out there which pastors can use to train leadership teams, but it is important to use one that is practical. One of the most practical is the book, Developing Leadership Teams in the Bivocational Church. A sermon prepared by Dr. Terry W. Dorsett. It is based on Malachi 3:7-12, Haggai 1:5-6 and selected New Testament verses. Malachi3:7 - Since the days of your fathers, you have turned from My statutes; you have not kept them. Return to Me, and I will return to you, says the LORD of Hosts. • The Jews had been chosen by God as His special people. • God desired to be their loving Father and to have a fatherly relationship with them. • But for most of their history, the Jews struggled with letting God be their father. • The Jews often worshipped other idols. • The Jews often failed to obey the commands that the Lord gave them, which were for their own protection and blessing. • The Jews often went through the motions of religious rituals without meaning any of it. • Sadly, many Jews are still living without God today. • Though most of us may not be ethnically Jewish, when we became Christians we were grafted into the promises of God and became His children. • God desires to be our Father and to have a wonderful fatherly relationship with us just as He does with the Jews. • How often do we run from God and fail to allow Him to be the Father we need? • Like the wayward Jews, we also need to return to God! • When will we realize that our way is not working? When will we finally quit trying to force things to work that God has already said will not be helpful to us? Malachi 3: 8 - "Will a man rob God? Yet you are robbing Me!” You ask: "How do we rob You?” “By not making the payments of 10 percent and the contributions. • When the Jews asked why God did not think they were really following Him, God brought up the subject of tithing. It was but one of many examples God could have used. • Tithing means giving 10% of our income back to the Lord. • Tithing is an area that many Christians struggle in. • The Bible mentions tithing at least 37 times, so it is not an obscure concept in the Bible. • The Jews understood what a tithe was; they just seldom gave the tithe as consistently as they should have. • God said that when the Jews withhold their tithe from the Lord, they were robbing Him. • Since we are now spiritually Jews, how are we doing in our own tithing? How can we think we have a good relationship with our Heavenly Father if we are robbing Him on regular basis? • Many Christians try to argue that tithing was ONLY an Old Testament principle and that it does not apply to New Testament believers. • Does the New Testament teach tithing? Matthew 23:23 - Woe to you, teachers of the law and Pharisees, you hypocrites! You give a tenth of your spices—mint, dill and cummin. But you have neglected the more important matters of the law—justice, mercy and faithfulness. You should have practiced the latter, without neglecting the former. • Jesus was the one who spoke this verse. • Jesus was referring to the practice of the Pharisees to grow small window boxes of exotic herbs. The Pharisees were faithful to tithe on these small handfuls of herbs. • But the Pharisees failed to show justice, mercy, faithfulness and love to others. • Jesus said they needed to both tithe and show justice, mercy, faithfulness and love to others. • In this verse, Jesus Himself endorses the tithe. But Jesus also makes it clear that the attitude of the giver’s heart is as important as the tithe itself. What Attitudes Should We Have When We Give? • What if we choose not to tithe or we tithe with the wrong attitude? Malachi 3:9 - You are suffering under a curse, yet you . . . are still robbing Me. • When we fail to tithe we step out from under the blessing of God. • Because we live in a sin cursed world, if we are not under God’s blessing then we are vulnerable to all the ravishes of this cursed world. • How often have we worked as hard as we could to overcome a financial problem and still feel like we are cursed? • Haggai was another one of the Old Testament prophets. He served during a time when the Jews were working as hard as they could to rebuild their land after a generation long exile. • But no matter how hard they worked, they did not seem to be able to achieve what they were trying to do. • Haggai pointed out that it was because they had their priorities wrong. • They were trying to take care of themselves first and then give God the leftovers. • Haggai pointed out to the Jews that they would never find what they were looking for until God became the priority in their lives once again. • We experience this same frustration sometimes in our own lives. It seems sometimes that no matter how hard we work, we still do not make progress. In moments like that, we often feel cursed. • Haggai points out that that this feeling of being cursed applies to other areas of life too. • Some people never seem to find a sense of satisfaction in their job, family, marriage, accomplishments, or in anything else. • People feel this way when they have not made God the priority in their lives. • When God is not a priority in life, then life will not satisfy us no matter how hard we work to make it better. We will feel like we are cursed in every area of life. • How can we break free of the curse of self-focus and regain a God-focus in our lives? Malachi 3: 10 - Bring the full 10 percent into the storehouse so that there may be food in My house. Test Me in this way,” says the LORD of Hosts. "See if I will not open the floodgates of heaven and pour out a blessing for you without measure. • We are more driven by money than we often realize. • Therefore, when we get to the place where we can give generously to the Lord with the right attitude, it is an indicator that something has changed inside of us. • When people first learn about tithing, their response is often that they simply cannot afford it. • God says to test Him in tithing and see what He does through it. • What does it mean to test God? • Many people tithe a few times and when a gold brick does not drop into the backyard, they think God failed the test. • But we must tithe with the right attitude and we must do it faithfully in order to be blessed. Testing takes time and requires faith and a willingness to sacrifice. • God blesses us in many ways when we tithe. Malachi 3:11 - I will rebuke the devourer for you, so that it will not ruin the produce of your ground, and your vine in your field will not be barren," says the LORD of Hosts. • When God says that He will bless us for tithing, it does not always mean we will have extra money. • Sometimes it means that God will keep things that what we already have from breaking. • Sometimes it means God will help us find ways to be more productive with the money we already have. • Good stewardship is more than just tithing; it is also handling the other 90% well. • We tend to wander from God, so we must constantly return to Him. • Because we love money so much, part of returning to God includes giving God our wallet – through tithing. • When we begin to tithe, with the right attitude, it demonstrates that something has changed inside of us. God has become our priority. • God will bless us for faithful tithing – or we can choose to live outside His blessing and experience the full force of this sin cursed world. When I was a child I remember learning Matthew 9 in Sunday School. I can still remember how confused I was when the teacher tried to explain verse 17. That verse read, “And no one puts new wine into old wineskins. Otherwise, the skins burst, the wine spills out, and the skins are ruined. But they put new wine into fresh wineskins, and both are preserved.” As a child, it did not make sense to me that they could not recycle those skins and use them again. It was years later that I realized that those skins had not just been used once. They were OLD wine skins and had been used over and over and over again until they were worn out. The application Jesus was trying to make in Matthew 9, which I missed as a child, is that sometimes certain traditions, activities or rituals have been used so many times that they are worn out. They have outlived their purpose and it is time to experience something new with the Lord. This verse came to mind recently when I was talking with some church leaders about how they might reach out to the next generation. They had been doing things a certain way in their church for so long, it was hard for them to think about church being done any other way. They were trying to use methods from 30 years ago to reach young people today. Of course, it was not working. It was not that their message was wrong, for Jesus is always the right answer in every generation and every culture. But the young people could not hear the message of Jesus because the methods through which the leaders were communicating no longer work. After some lengthy discussion, they finally decided to add some “new” stuff on top of their “old” stuff. They decided to keep doing what they had always done and then add a few new twists to it as well. Though it sounded good as they sat around the table talking about, as I listened I knew it would not work. It would simply make their church service long and disjointed. It would stretch their small budget and volunteer pool to the breaking point. They were trying to put new wine in old wine skins. If we really want to reach the next generation, we must look at our church’s programs, traditions and rituals and ask which ones are matters of theological conviction and which ones were just accommodations to the culture when those programs, traditions and rituals were started. Ones for which we have a theological conviction must be guarded at all cost. Ones which were simply cultural adaptations from a bygone era should be released so that there is space for a new wine skin which the Holy Spirit might fill. Dr. Terry W. Dorsett starts new churches in Vermont and also helps churches discover ways to reach the next generation. His book, Developing Leadership Teams in the Bivocational Church, can be ordered at CrossBooks.com or Amazon.com. I’m not sure, but I think I heard it from Richard Foster in Celebration of Discipline. It’s a perfect word to describe a need for Christians of all occupations, but especially those who pastor smaller churches. The word I’m referring to is, de-accumulate. If I remember correctly, Foster used it in relation to living a more simple life. His premise is that we are manipulated by the media into believing that we need more things. As we give in to this lie we begin to accumulate. The more we accumulate the more what we accumulate controls us. Therefore, we have a need to de-accumulate in order to experience more freedom and simplicity. If we are going to be the deeply spiritual people we want to be, and the type of pastors our people so desperately need us to be, we will have to de-accumulate unnecessary ministry responsibilities that take our time away from the nurture of our souls, the care of our families, and the preserving of our sanity. In order to de-accumulate we will need to delegate, settle, or abandon. Delegate. If there is someone in the church that can do things we are doing at least 70% as well as we do them, hand it off to them. We should examine all the ministry duties we have accumulated on our calendars and see what we can share with others. Settle. I once heard a conference speaker say, “Anything worth doing is worth doing poorly.” If in order to de-accumulate you need to settle for something of a lesser quality than you would like, then settle. Receiving a “B” on a test isn’t as good as an “A,” but a “B” is still pretty good. The rule of thumb is: do a few things well. If you can’t do great, then settle for well. Abandon. Towards the end of my last pastorate I announced to my church that we were going to abandon any ministry or program in the church that could not be carried out by people who had a genuine passion for it. I was no longer going to stand before the church and say, “We’re going to do this…” and then recruit people to do “this” and then motivate people to keep doing “this”. Our church would only provide ministries led by and staffed by people with passion. People with passion seldom need motivation. I was prepared to nix such sacred cows as nursery, Sunday school, refreshments, multi-media, even the worship team if people did not step up to the plate. Know what? No ministry of any significance had to be closed down…even though I was willing to. In order to de-accumulate you may need to be willing to abandon certain responsibilities/ministries that fall on your shoulders. If you want to live a happier, healthier, more spiritual life, you will need to de-accumulate. It will be scary at first, but you’ll get used to it. Your spouse will thank you for it, your kids will thank you for it, and your church will thank you for it…eventually…after they’re done thinking you’re a lazy, irresponsible nut-case. Blame me. This guest post was written by Dave Jacobs. 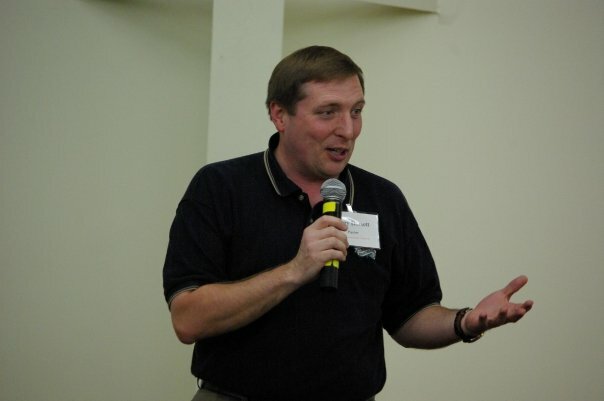 Dave operates http://www.smallchurchpastor.com/ where he coaches, consults and resources pastors of small churches. When I entered the crowded room yesterday, I saw her across room. My heart was strangely warmed to know she was here with me. It brought back a flood of memories from nearly twelve years ago. Some of those memories were sweet, some painful, but all were laced with the fragrance of forgiveness. Her name is Mary* and she nearly killed my family eleven years ago in a car accident. Mary had struggled with alcoholism most of her adult life and on that fateful morning so long ago had been heavily drinking. She drove her car head on into mine. The accident was so severe that the police who responded were amazed that anyone survived. My wife’s arm was broken and required major surgery. My leg was so shattered that at first they thought it would have to be amputated, but after surgery and many months of physical therapy, I learned to walk again. My youngest son was the most severely hurt. His back was broken and he suffered massive internal injuries. The small hospital in our area was unable to treat him for his injuries and rushed him to another hospital that had a pediatric intensive care unit. I remember the doctor telling us to say good bye to him before they put him in the ambulance because the doctor did not think we would ever see him again. For three days his life hung in the balance. But the Lord of Glory choose to use His power to spare my son’s life and though he spent months in a body cast, he made a full recovery. He is now a junior in high school and involved in both basketball and football and one would never know how serious he had been injured as a preschooler. Years later the word “hate” sounds so harsh, but to be honest, that is exactly what I felt for Mary after the accident. I had moved to a small village in Vermont to serve as a missionary with the North American Mission Board. My specific ministry was to be the pastor of a small congregation of less than 20 that was struggling to survive. I was supposed to tell people like Mary about Jesus so they could be freed from their sins and be transformed into holy living Christians. That was such a glorious dream, until Mary nearly shattered it. I had nightmares for months about the accident. I would wake up in a cold sweat and the hatred I felt for Mary would wash over me in waves. One part of my mind knew that I needed to forgive Mary, but another part easily justified the fact that Mary did not deserve forgiveness. One night, as I wrestled with those feelings, I tried once again to explain to God what Mary had done to my son. God listened patiently. He’s good at that. Then He responded with a still small voice and explained to me what I had done to His Son. God the Father showed me the depth of my own sin that had made it necessary for Jesus Christ, His Son, to die upon the cross. God reminded me that He had graciously spared my own son in the accident that Mary caused, but that Jesus, the Son of God, had to die because of my own sin. That night I asked God to help me learn to forgive and it was the first step in a long journey of healing in my own life. It took time, but I did learn to forgive Mary. I invited her to church and she agreed to come. I sat behind her during her trial and subsequent sentencing. I went to visit her in jail as she served time for the accident. These were not easy steps for me, but they were important in the overall process of forgiveness. When Mary was released from jail, she began coming to church regularly. One Sunday Mary asked if I might come to her home and explain more about how she might trust Jesus. A deacon and I went and sat in her kitchen, surrounded by bottles of alcohol, I shared that Jesus loved her and had a plan for her life. It would not be an easy plan, for it would require significant change, but it would be a plan that would be for her good and if she would choose to follow it, I promised her she would not regret it. That day Mary gave her life to Christ and the woman who nearly killed my family became my sister in the Lord. A few months later, after I had recovered physically, I was able to baptize Mary. In the years since she has become a glowing Christian. She has served on the church board. She has been involved in a variety of ministry opportunities at the church. Though I have since moved on to a new ministry in a town not far away, Mary continues to serve the Lord in that little village church. This weekend I am attending the annual meeting of my denomination’s regional organization. The meeting is filled with reports from the various national entities operated by our denomination as well as reports of the missionaries and staff members serving the churches in New England that are connected to our particular branch of the body of Christ. Each church sends representatives to hear the reports and vote on various issues to give direction to the denomination for the next year. As I walked into the room yesterday, one of the first people I saw was Mary. There she sat across the room, the woman who nearly killed my family 11 years ago, now sitting in the same room helping me make decisions for how our denomination will reach other Mary’s with the life changing Gospel of Jesus Christ. To me, that is what living like a missionary is all about. I can honestly say that Mary is a blessing to my life. Seeing her across the room at that meeting reminded me of the blessing of forgiveness that I have received from Christ. I can do nothing less that offer that same blessing to others as I seek to live like a missionary and share the forgiveness of God with anyone who will listen. *I have changed Mary’s name to protect her privacy. I often talk to pastors who are concerned because of the lack of young people they have in their churches. Some of these pastors have invested significant amounts of energy and financial resources into reaching young people. They have been able to get them to come to various activities and events, but seldom can get them to come to worship services. Though there are a variety of reasons for why that may be the case, I think the main reason is that most Sunday morning services simply do not communicate to the next generation in ways they can understand. Worship services are often designed in ways that communicate well to middle-aged and senior adults, but just do not capture the attention of younger adults. If churches want to see more young adults in their worship services, they must begin to communicate in a way that the next generation can understand. Music is one aspect of that communication process. Younger adults tend to prefer instruments with more bass and percussion in the mix. They also tend to prefer the music to be more up-tempo. Because they are looking for ways to build a relationship with God instead of just learning knowledge about God, they prefer songs that can be sung to God, not just about God. Though changing the music that a church uses can be a difficult process, if we want to reach the next generation, this issue must be addressed. A second aspect of the worship service that needs to be addressed is the visual aspect. The next generation is a very visual generation. Their entire lives they have watched TV, played video games, surfed the Internet and have become used to lots of graphics. This means that churches must learn to utilize power point for sermon notes, video announcements, and other types of visuals if they hope to communicate to the next generation. Just as a learning new music can be a challenge, so is using technology. But the reality is that the use of video technology is essential if churches want to reach young people. We do not have to like these new innovations ourselves, but we do have to accept that this is just the way the next generation communicates. If we fail to communicate to them using these mediums, we will be met first with blank stares from the next generation and then with empty seats. The souls of our children and grandchildren are at stake. It is time to let go of our own agendas and redesign our worship services so they communicate the timeless truth of the Gospel in ways the next generation can understand. A sermon developed by Dr. Terry W. Dorsett and preached at Faith Community Church, Barre, VT, on November 7, 2010. James 1:26-27 - If anyone thinks he is religious, without controlling his tongue but deceiving his heart, his religion is useless. Pure and undefiled religion before our God and Father is this: to look after orphans and widows in their distress and to keep oneself unstained by the world. • If our tongues talk about religion but our lives do not back it up, our religion is useless. • Pure religion helps those who can offer nothing in return, such as orphans or widows. • Pure religion is also keeping ourselves from being stained by the dirt of the world while we try to help those around us. • Whatever we do, it must be with integrity. We cannot help physical orphans if we are still Spiritual Orphans ourselves. • With 63 million orphans in the world today, we must accept the reality that we will not be able to make a significant difference in the lives of orphans in our own strength. • If we are spiritual orphans, we will not have the energy needed to help all the physical orphans in the world. • We must have God’s help in this matter. • We cannot have God’s help if we have not yet made a personal commitment to Jesus Christ as our Lord and Savior. • Too many of us are spiritual orphans drifting through life bouncing from one idea or concept or philosophy to another. • We do not need a bunch of people jumping on the orphan ministry bandwagon because it is this week’s cause, only to abandon orphans when the next cause comes along. • We need people to make a deep and personal commitment to Jesus Christ FIRST. • Once we have found our spiritual home in Christ, we will be centered in our faith and know how to help others more effectively. John 1:12-13 - But to all who did receive Him, He gave them the right to be called children of God, to those who believe in His name, who were born, not of blood, or of the will of the flesh, or of the will of man, but of God. • This verse tells us that we must receive Jesus. Once we do, we become God’s children and are no longer spiritual orphans. • Receiving Jesus means we realize we cannot get to heaven on our own. • Receiving Jesus means we accept the fact that Jesus died in our place on the cross. • Receiving Jesus means that we make a sincere choice to turn away from living for ourselves and to start living for God. • When we receive Jesus, we find a spiritual home in Christ and are assured of a heavenly home when we die. • We often do not feel worthy of having such a wonderful spiritual home. • Notice that God is the one who reaches out to us first; it is God’s will that we receive Him. • God initiates a relationship with us. • We must choose to respond in faith to God’s invitation. • If we refuse God’s invitation, we will continue to drift through life as a spiritual orphan. • But if we make a firm commitment to Christ, we not only find a spiritual home for ourselves, but we can also use God’s power to help others. Once We Have Our Own Spirit Strong, How Can We Help Orphans? 1. James 5:16 - The intense prayer of the righteous is very powerful. • God can use us to pray for orphans. • Our prayers must be intense. • We must be living right so that our prayers are not hindered by sin. • God can use us to meet the physical needs of local children in foster care. • If we have more than we need, we can give it to a child in need. • If we do not know any children in need, we can give it to an organization that does. 3. Deuteronomy 15:7-8 - If there is a poor person among you . . . you must not be hardhearted or tightfisted toward your poor brother. Instead, you are to open your hand to him and freely loan him enough for whatever need he has. • God can use us to meet the financial needs of the poor. • Notice it mentions lending to the poor instead of just giving them money. • The point of lending instead of giving is to keep the poor from becoming dependent on handouts. It also protects their self esteem. • Though our “loans” may often become “gifts,” it still helps people see their need to accept responsibility for themselves instead of always being dependent on others. • If we are short on cash to help, we can hold a bake sale, have a car wash, plan a yard sale, or do a silent auction. We can do more as a group than we can do by ourselves. But by all means, let’s do something!!!! • Pure religion is caring for those who can offer nothing in return, such as orphans. • We will not be able to help orphans without God’s power so we must first make sure our own faith is solid. • We can pray powerfully for orphans. • We can give our excess belongings to children in need. • We can raise money to help older orphans become self-reliant. 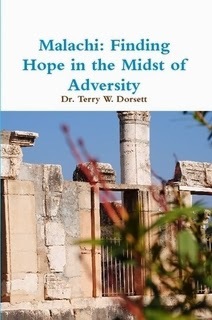 A sermon about prayer developed by Dr. Terry W. Dorsett. We often pray about various things in our lives. We know that we need to have faith when we pray, but sometimes we wonder if God is really listening. Is there a way to know for sure that God will hear our prayers and respond? 1. If we want God to hear our prayers and respond, we MUST be in a relationship with Him. • Jesus was talking to His disciples and told them they if they wanted their prayers answered, they had to “remain” in Him. • What does it mean to “remain” in Christ? • Remaining in Christ means that we are connected to Him all the time through a meaningful personal relationship with Christ that is demonstrated in our daily lives. • Sometimes we only pray, come to church, read the Bible or do other spiritual things when we have a problem and want God to bail us out. • Because God is a loving Father, He often chooses to come to our aid in times like that. • But God never promised to answer the prayers of those who do not have a real relationship with Him. • God only promised to answer the prayers of those who remain in Christ. • Personal Example: I do not believe in Buddha, or in any of the Hindu gods. I do not think they are real. I do not think they can help me in my life. But suppose in a time of crisis I said a quick prayer to them “just in case.” Should I really expect them to respond? Of course not. I do not even believe they are real. I have no relationship or connection to them at all. It would be crazy for me to expect a response from them. Yet, somehow people who do not have a personal relationship with Jesus expect the Christian God to respond each time they get into a crisis in their life. Why are they surprised when He does not respond? They have no relationship with Him. • If we want God to hear our prayers and respond, we must remain in Christ. • The first step to remaining in Christ is to trust Christ as our Savior and become a real Christian. • The second step to remaining in Christ is to be spiritual ALL the time, not just when we NEED something from God. • God does not expect perfection, but He does expect significant effort. • If we want our prayers to be answered, we must be a real Christian and be doing our best to live like one. 2. If we want God to hear our prayers and respond, we MUST pray in agreement with His will. • 1 John 5:14-15 - Now this is the confidence we have before Him: whenever we ask anything according to His will, He hears us. And if we know that He hears whatever we ask, we know that we have what we have asked Him for. • We can be CONFIDENT that if we pray for something that is according to God’s will, it will happen. • What does it mean to pray according to God’s will? • Praying in agreement with God’s will means that whatever God wants should be more important than whatever we want. • God will never do something that contradicts His Word (the Bible). • God will not do things that cause confusion or division in the church. • God confirms His will through other Christians. • God will put certain ideas or desires in our hearts that will just not go away. If those ideas that linger in our hearts pass the other three tests, then we can know that idea is from God and can pray for it with confidence knowing it is within God’s will. 3. If we want God to hear our prayers and respond, we MUST live the right way. • 1 Peter 310-12 For the one who wants to love life and to see good days must keep his tongue from evil and his lips from speaking deceit, and he must turn away from evil and do good. He must seek peace and pursue it, because the eyes of the Lord are on the righteous and His ears are open to their request. But the face of the Lord is against those who do evil. • Whose prayer requests does God listen to? • We must keep our tongue from evil. • We must keep our lips from speaking lies. • We must turn away from evil. • We must do good deeds. • We must seek peace with others. • Basically, we must LIVE the right way. • We must remain in a relationship with Him. First by choosing to be a Christian and second by trying to be spiritual all the time, not just when we need something. • We must pray in agreement with God’s will and not our own will. • We must live the right way.